Everything that happens on Earth happens in cycles. The only straight line is in man’s mind. There are no straight lines in nature. 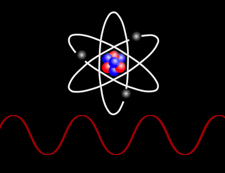 Everything is nature is formed by spinning spheres, or waves. Spinning spheres emit waves. We know this happens with the planets; they emit electromagnetic wave. Waves are everywhere in the Earth’s atmophere (and in outer space) and waves create cycles. Cycles affect just about every aspects of our lives on Earth. There are lots of different cycles of different lengths. However, the major cycles tend to be somewhat harmonic (they’re divisible by three, to find the next higher or lower cycle). Major cycles are 7, 19, 57, 172, 515, and 1030. Stephen Puetz wrote a book on the probabilities of cycles, tracking cycles back through the beginning of time. It’s called the Unified Cycle theory and you’ll find it in my recommended book list. Below is the civilization chart I created (featured in the video). The data comes from the National Oceanographic and Atmospheric Administration—from the Greenland Ice Core Research project ending in 1992. Ice cores are an extremely accurate method of determining temperature back through the centuries. You can see the large temperature peaks every 1030 years – the red arrows. These extremely warm and wet periods supported bountiful crops and major societies grew to the height of their power. The correlation of warm and wet climate with the rise of major civilizations is striking. When the climate turns warm and wet for long periods, the world’s greatest empires have emerged – Egypt, Greece, Rome, the Mayans, the Vikings, and so on. When the climate grew colder, these great cultures fell into ruin. Bad things start to happen when climate turns cold and rainfall stops. Rome burned as it got colder. Hadrian’s Wall was built to keep out invaders at the bottom of a cold spell. Social mood always turns negative with colder climate. And that brings about riots and wars. Cold periods often get labeled as dark ages, because there is little advancement of living standards. So here we are at the top of the Modern Warm Period. Unless this time is different, the Earth is going to get a lot colder and dryer. Most likely for several hundred years. We’ll also see a major financial collapse. Yes, that’s one of the great features of the 172 year cycle. It’s happened throughout history, like clockwork. 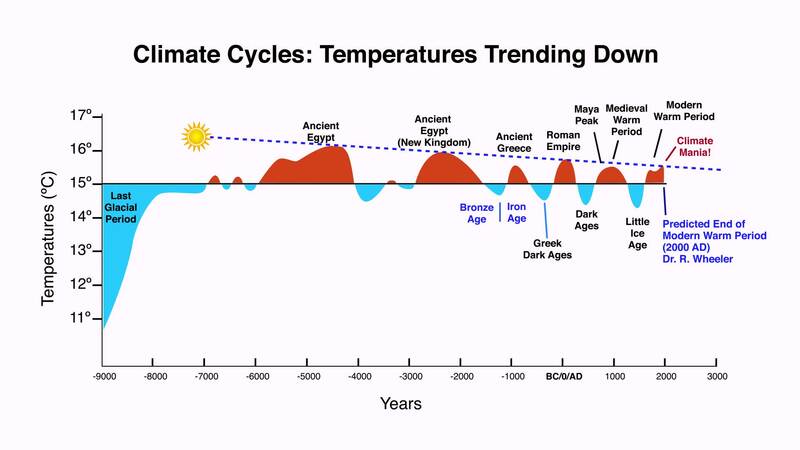 In the chart above, you can see that we came out of the glacial period about ten thousand years ago.And then we had these up and down periods of warm and cold … cycles. It’s like a giant sine wave. Temperature moves up and down over time … on a fairly predictable schedule. Today, we’re in what’s called the Modern Warm Period. And there’s climate mania!—Even though it’s been warmer on Earth many times before and in fact the trendline shows it’s gradually getting cooler, because the Sun is cooling. Nobody disputes that—well, no astrophysicists, at any rate. The next cold period is signified by the dark blue blob right below Climate Mania. It’s starting now. But, how do we know all this? In the early to mid 1900s, Dr. Raymond Wheeler, with a team of 200 researchers analyzed climate back 20 centuries to 600 BC. He used tree rings and sunspot records to plot both temperature and rainfall over that entire period. He identified major climate cycles of 100, 170, 515, and 1030 years and predicted extreme weather at about the year 2000, followed by a turn colder and a long-term drought … and sure enough, that’s what seems to be happening. You can find his drought clock here. My video on Dr. Wheeler and his seasons is here. 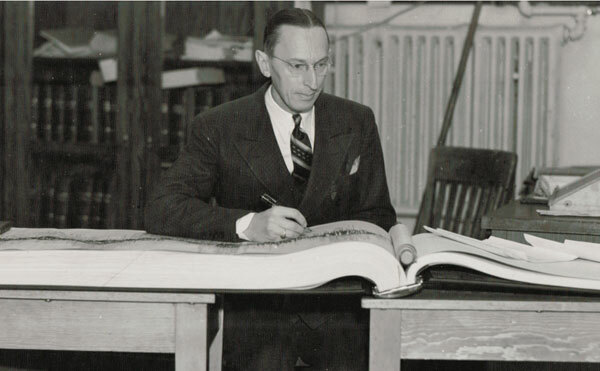 The picture above shows Dr. Wheeler with “The Big Book,” over 2000 pages of all his data on climate cycles in which he correlated major events throughout history. He’s shown how climate cycles repeat with event patterns over and over again. 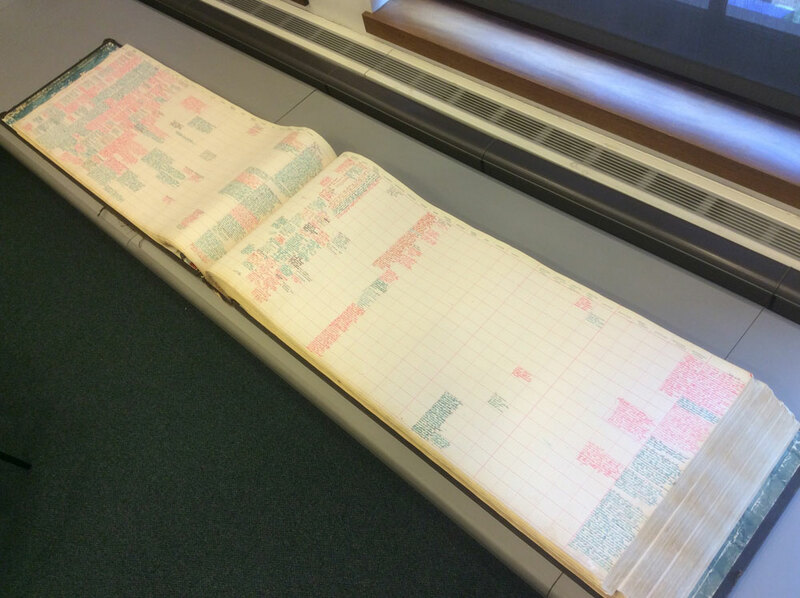 The Big Book exists in the archives of Baruch College, in New York City. Above is a picture of The Big Book today. I tracked it down in New York City recently. The divisions of history long ago observed by historians—ancient, Medieval, and modern—are more than divisions of history. They are long climatic cycles. The six century BC, the first AD, the fifth AD, and the 10th and 15th were all natural turning point in history, marked each time by the decline and fall of civilizations the world over and the birth of a new era. In each case these centuries terminated 500 year cycles in long range weather trends. Each was an exceptionally cold period in history.. The six century BC, the fifth AD, and the 15thmarked a end of the still longer cycle, on the order of 1000 years. These centuries were characterized by exceptionally profound reorganizations and revolutions in the civilizations of the world. Current events show that another world convulsion is occurring second only to (1) the emergence of rational thought in the sixth century BC, (2) the fall of Rome and other ancient civilizations in the 5th-century and the beginning of the medieval world based on feudalism, and (3) the final collapse of the Middle Ages in the 15th-century. The current convulsion is comparable to the birth of Christianity in the first century and to the birth of the modern nation as a fuedal principality in the ninth and 10 centuries. All of these reorganizations of society were marked by spurts in the evolution of democratic institutions. In fact, the global temperatures have gone sideways since 1998 and the recent drop in solar activity is warning of much colder times ahead. The head of the International Space Station, a Russian astrophysicist, with a name I can’t pronounce, has publicly predicted a mini ice age. The above chart shows the projection of solar maximums over the next 50 years or so. These cycles happen every 11.2 years and fluctuate in terms of their intensity over decades. 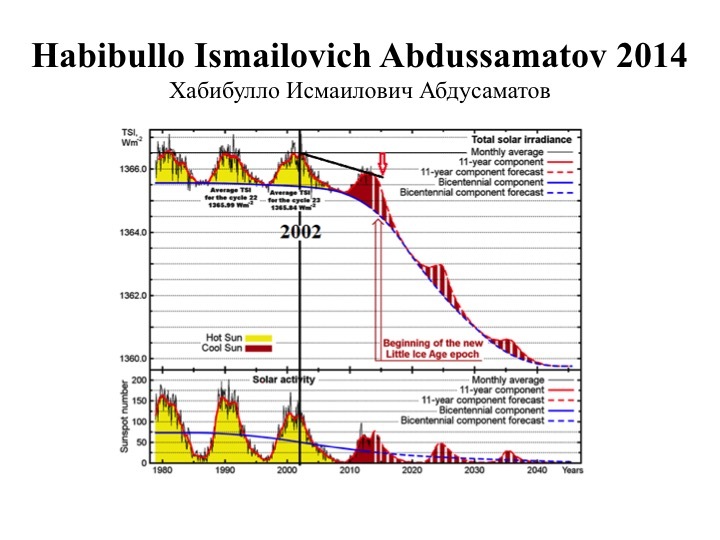 The most recent solar cycle has been far less intense that previous ones and because the sun is responsible for our warmth, less intensity results in colder temperatures on Earth, just as it has during similar periods (the Little Ice Age, for example, on the “civilizations chart” above. The Sun and the Planets are the main drivers of climate change on our tiny, little planet—we know that. And we can’t change Mother Nature. Science tells us it’s going to get colder. If history is are guide, the colder climate will last for hundreds of years. You see, history repeats … over and over again. So if you want to know the future, you look at the past. Valley, I am having trouble navigating this site and finding where you are. I couldn’t see anything on the discussion forum? Sad Obama & Bush before him have wasted billions on global worming when we should be preparing for the real emergency. Poor melinials. then if we are starting to cool why are the icecaps melting and the near term heating phenomena –high temperatures, droughts, fires etc– getting worse? 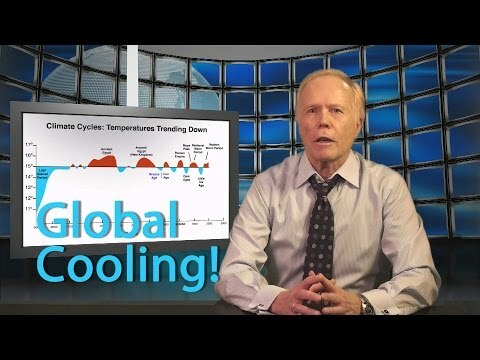 When does the hot cycle end? we’re going sideways, just like the market has for the past year and a half. It take awhile for the turn to happen, of course. Antarctica has been adding ice for the past few years. Wheeler’s lower end cycles are 25 years. The first part of a cold cycle is wet and then it becomes dry later on. You’re seeing the wet part all over the world at the moment. Lots of floods. You can think of this current period as two weather systems (of a much larger scale because they’re climate systems) colliding (like a high and low pressure system colliding). Wheeler predicted extreme weather starting around the year 2000 (the high was 1998) and I would guess we have a few more years until we see temperatures drop to any great degree. It took the temperature 25 years to rise (from 1975, which was the low—people were calling for a mini ice age then), so you can think about it in that kind of timeframe. Obrigado por partilhar. All Gore lie. 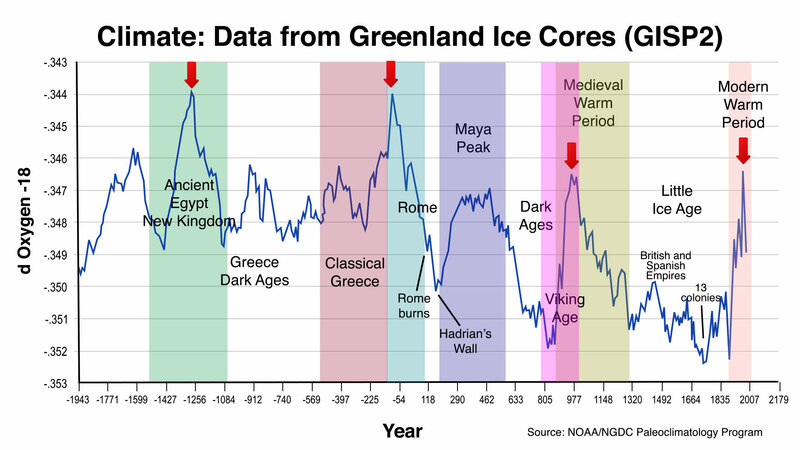 In regards to the temperature peaks, the period from 2007AD to 977AD is 1030 years. From 977AD to 54BC is also 1030 years. But to the next peak, at 1256BC it is about 1200 years from 54BC. Thus the length is different, how would you explain that? The difference is one subcycle of 172 years.